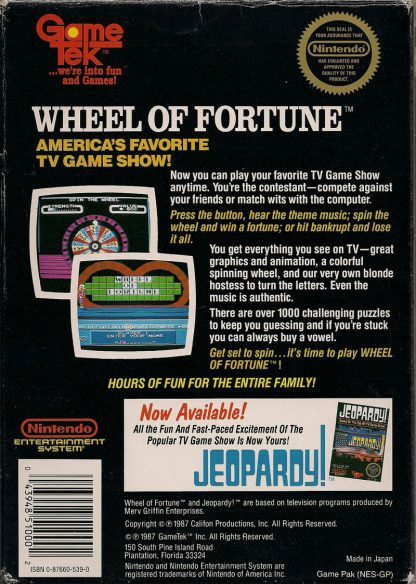 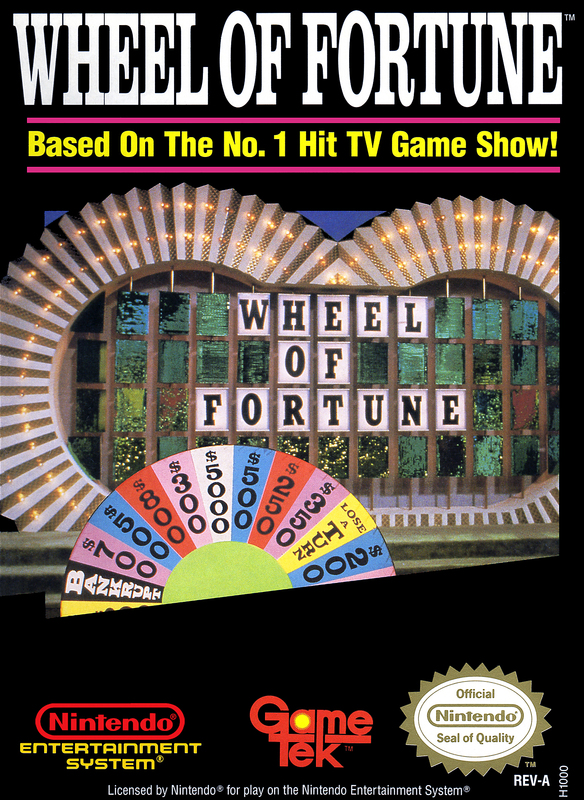 Wheel of Fortune was released for the NES in 1988. 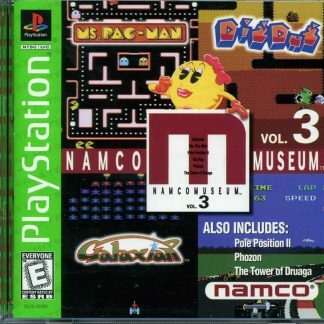 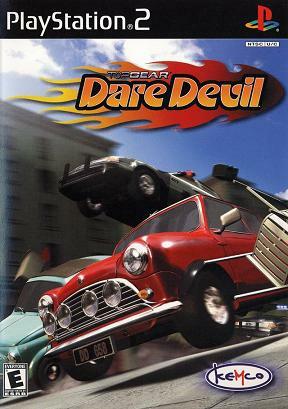 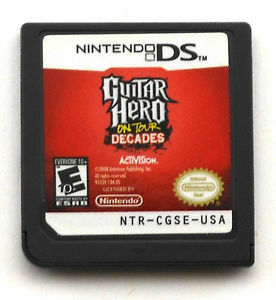 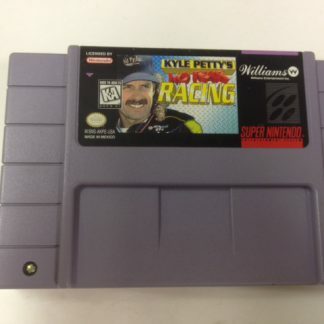 It was developed by Rare and published by GameTek. 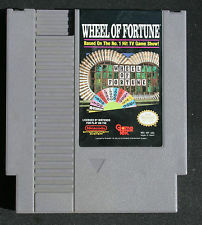 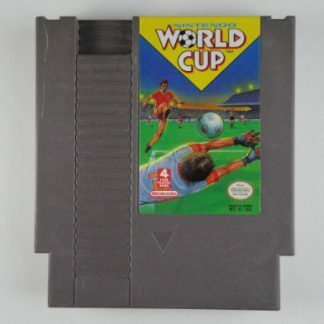 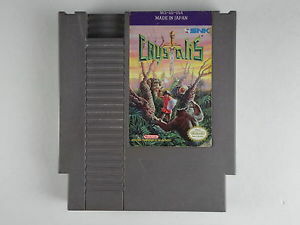 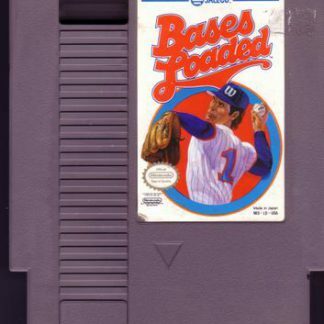 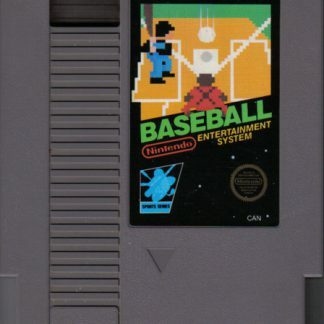 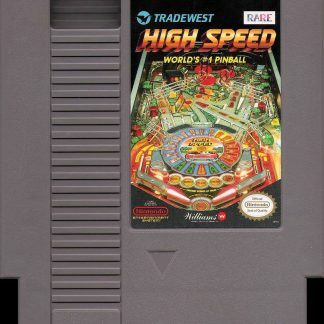 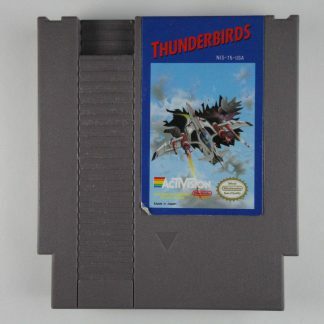 This game was the original to be released for the NES before the Junior and Family Editions were released in 1989 and 1990, respectively. 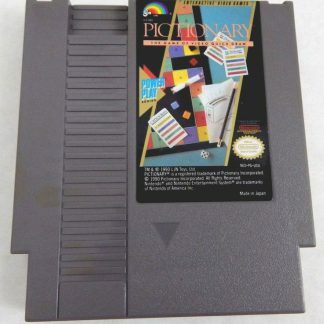 For game description, see the Family Edition.